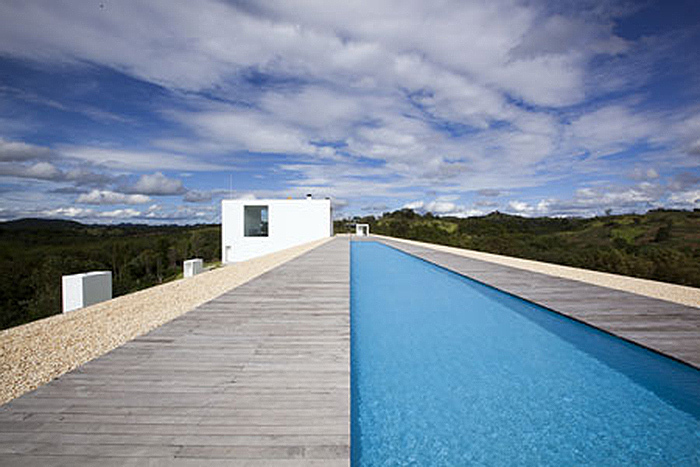 If It's Hip, It's Here (Archives): The Longest House Ever Built. 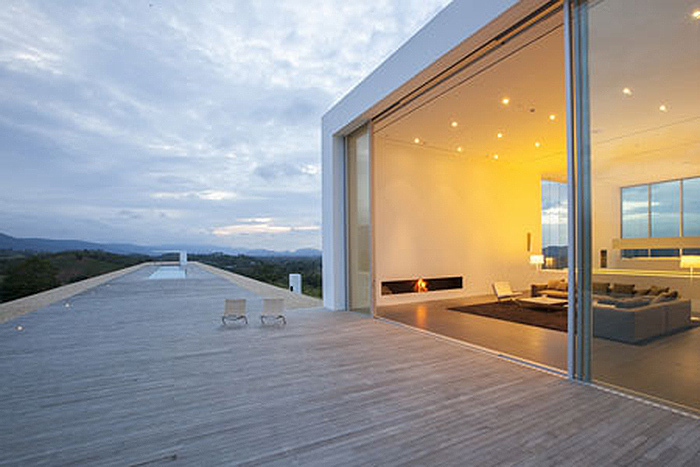 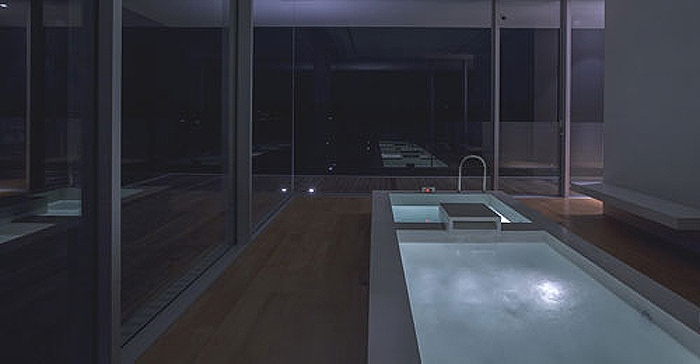 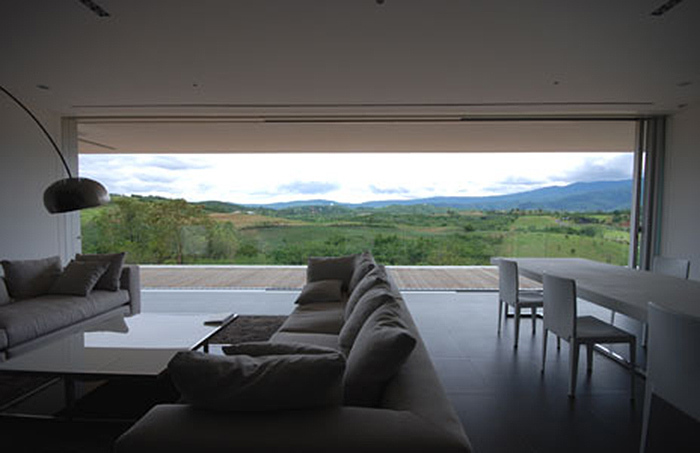 150 M Weekend House With Swimming Pool in Thailand by Shinichi Ogawa & Associates. 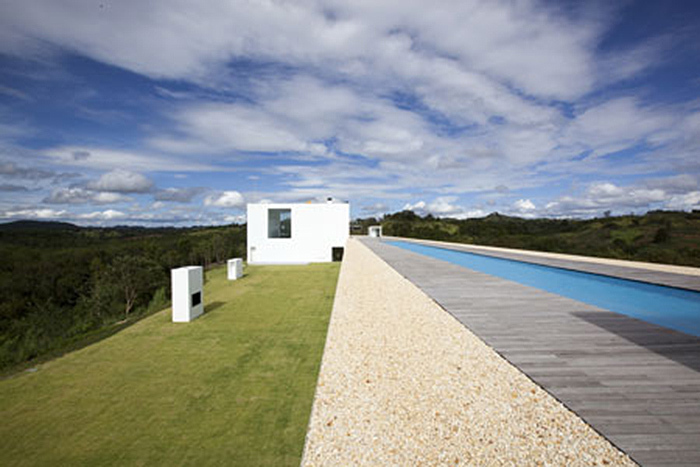 The Longest House Ever Built. 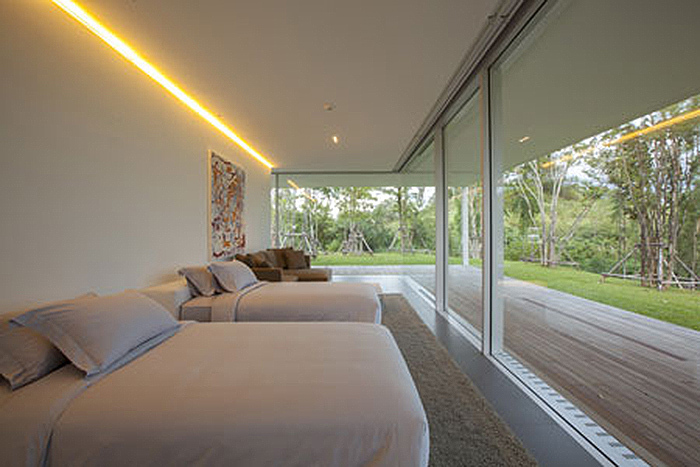 150 M Weekend House With Swimming Pool in Thailand by Shinichi Ogawa & Associates. 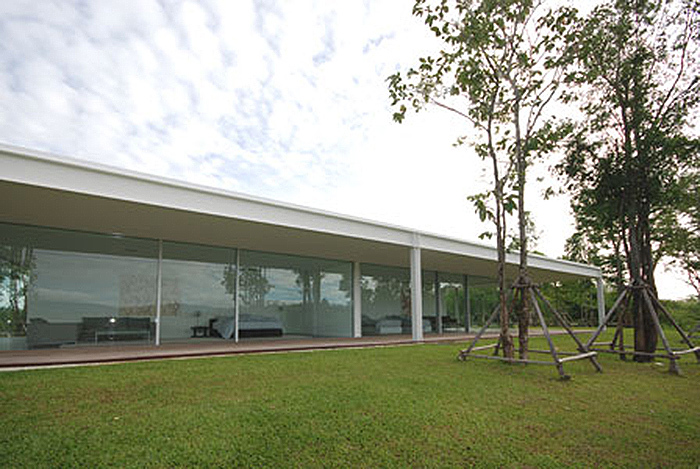 This linear reinforced concrete home by Shinichi Ogawa & Associates measures 150 meters in length, presumably the longest house ever built. 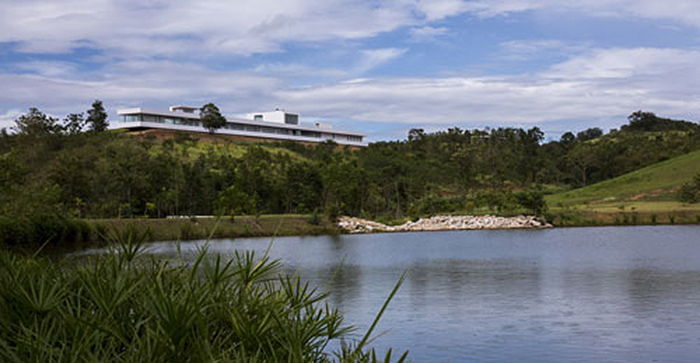 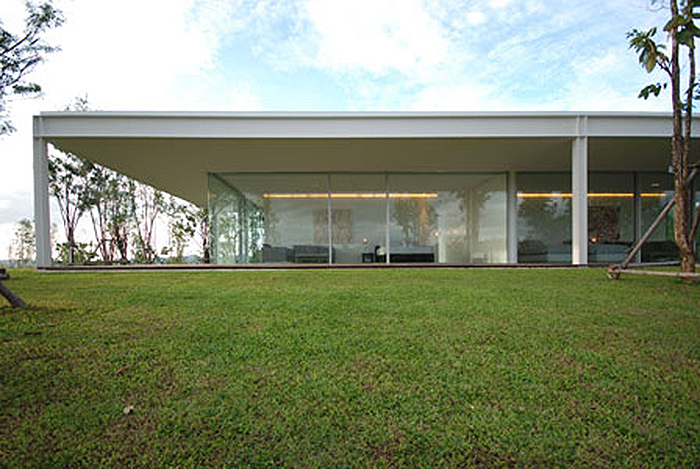 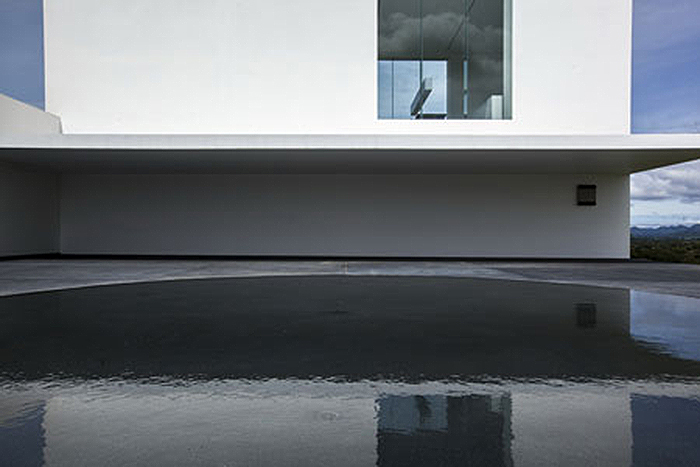 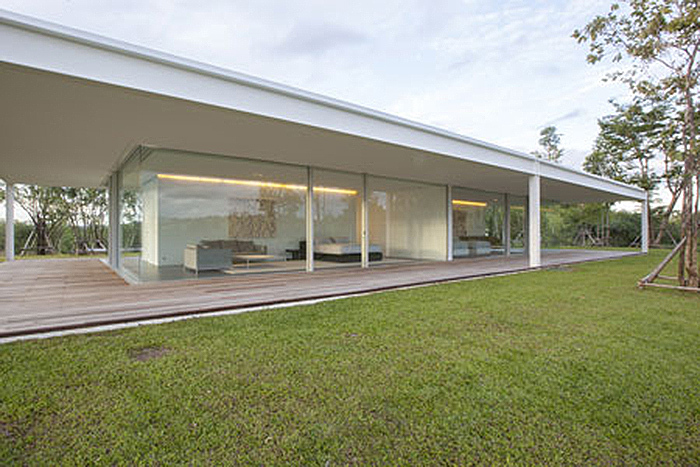 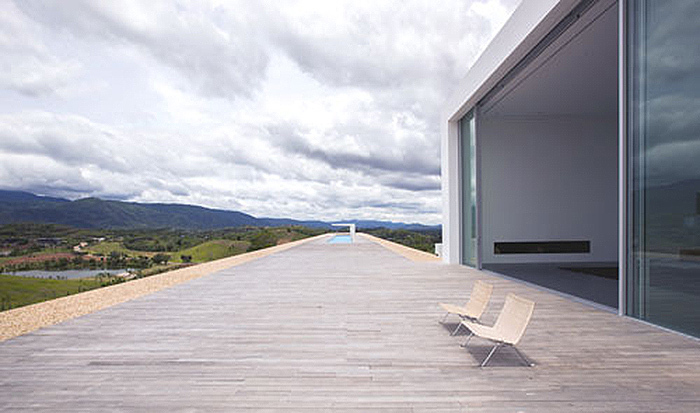 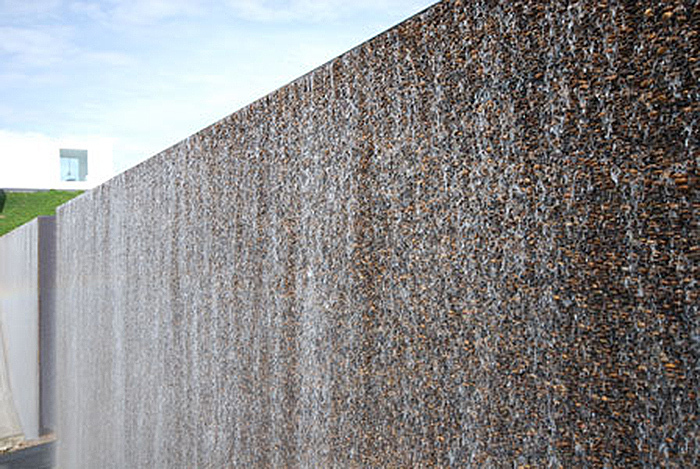 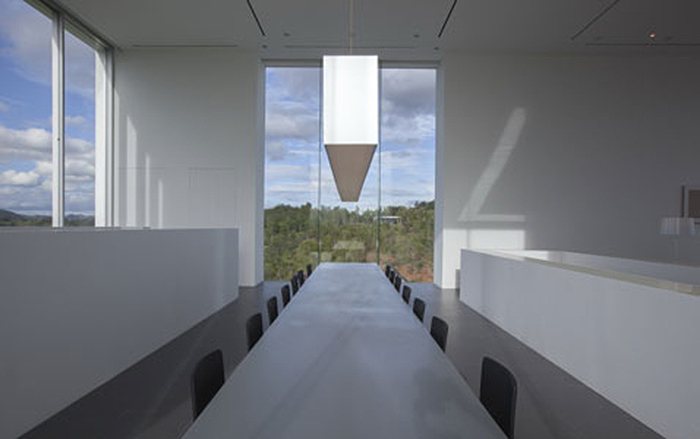 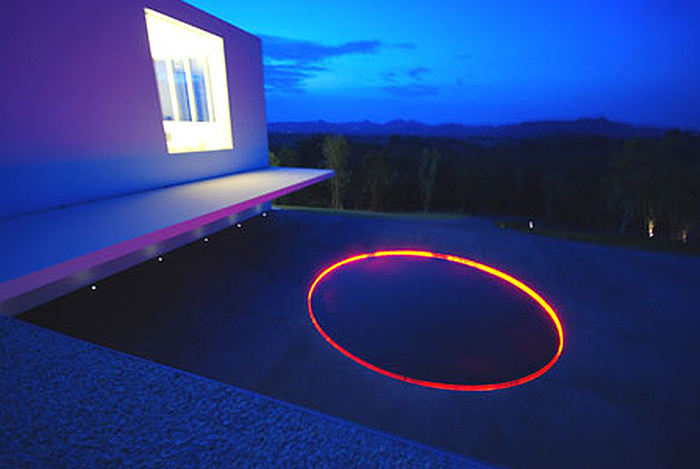 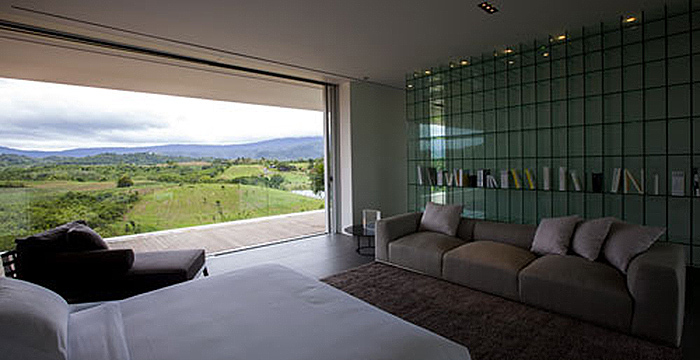 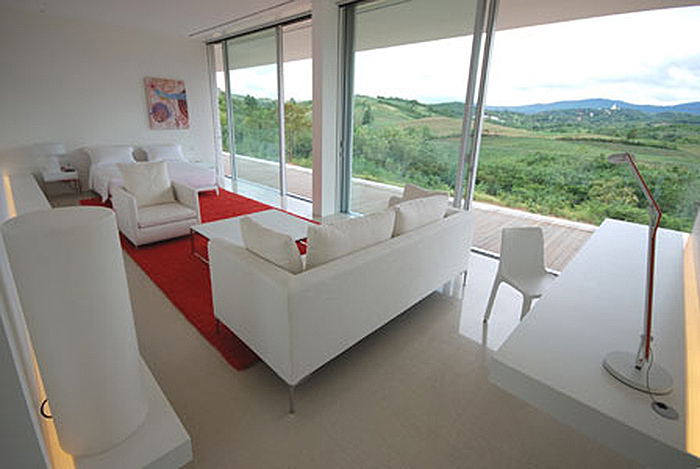 The main house is simply composed of a white cube and 2 horizontal plates of 11m wide by 150m long. 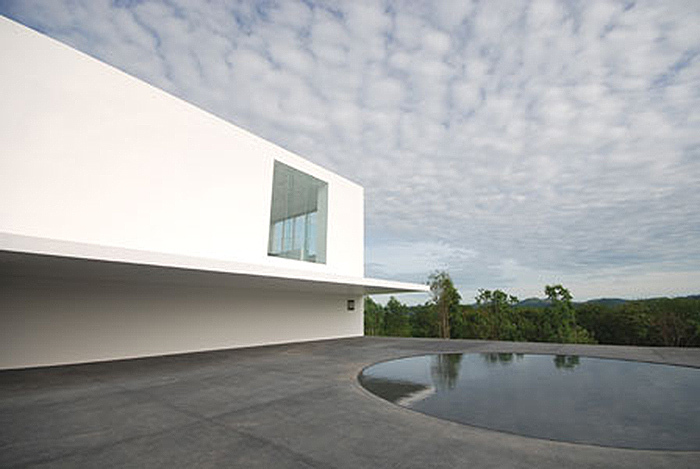 "Overlooking the rich natural environment, the world’s longest house tops a hill in the Khao yai forest complex of Thailand. 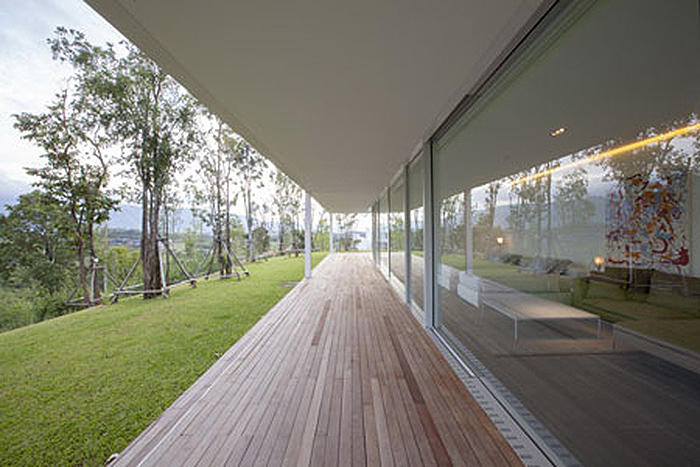 Through the waterfall as a entrance gate, the road leads you to the main house extending east and west on the left, and on the opposite side, a glass house in the forest as a guest house. 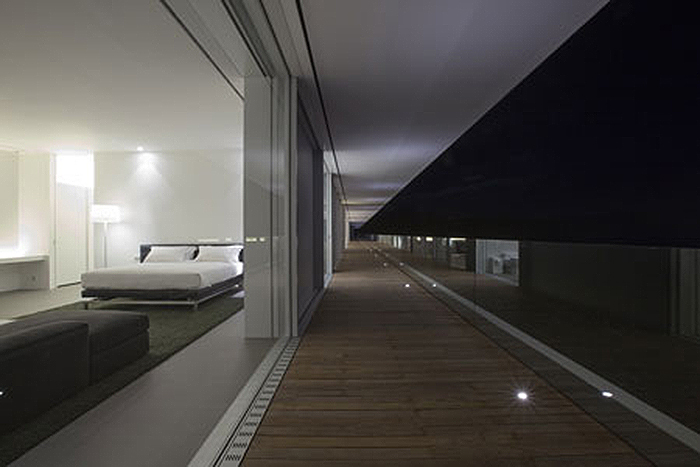 All rooms for owner family are put linearly between the plates, opening to both north corridor and south deck terrace. 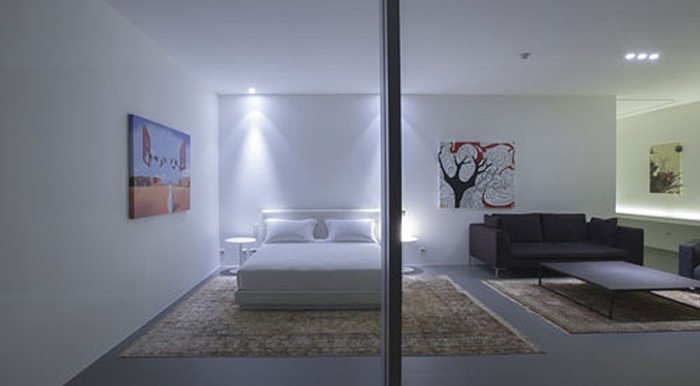 A glazed room for spa and fitness at the east end, 6 bedrooms with exclusive bathroom and living room, a family living/dining room, and storage or maid rooms at the west end. 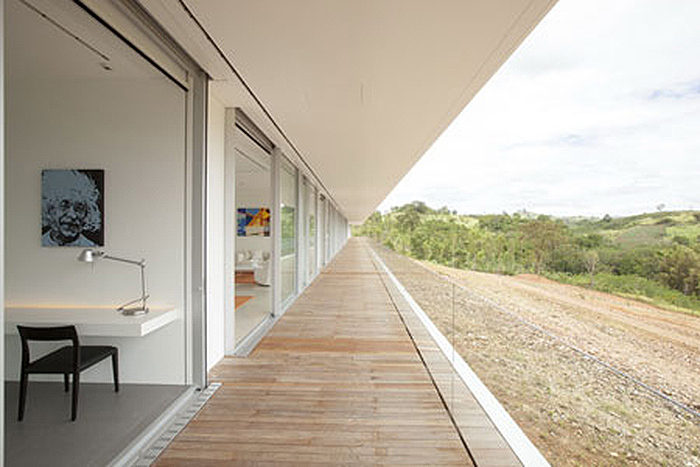 This extremely long planning takes advantage of the beautiful landscape, gaining a panoramic view and a dynamic scale space as the very long deck terrace. 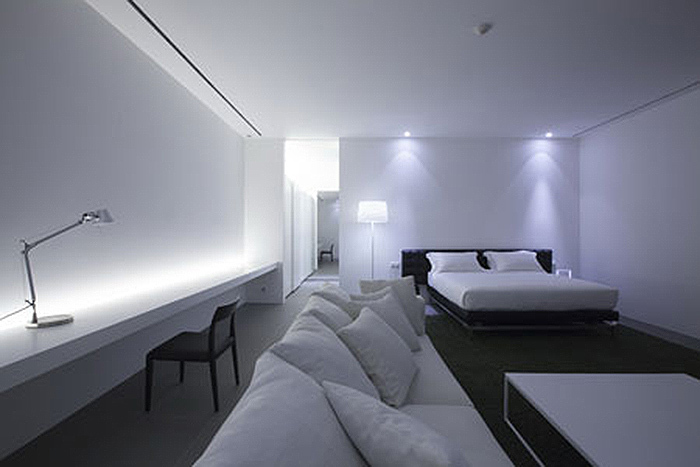 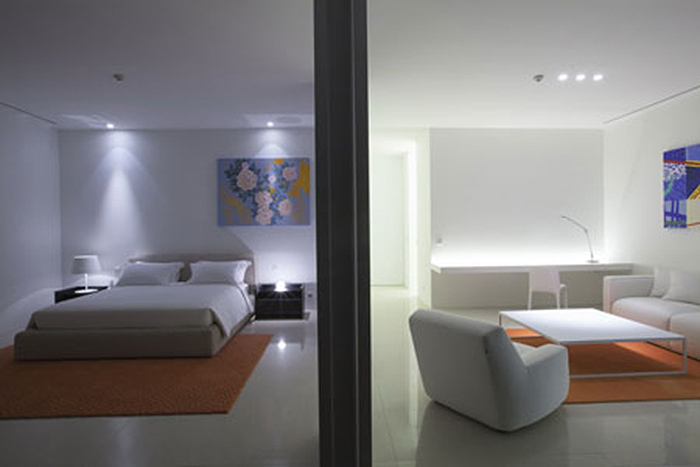 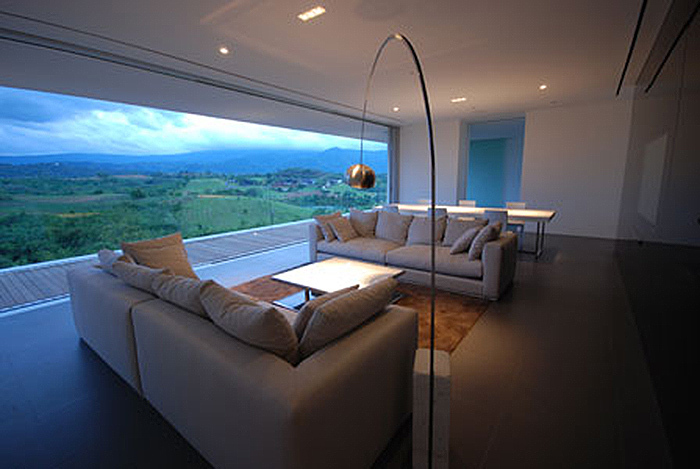 At the same time, it regards a airy comfortable living environment. 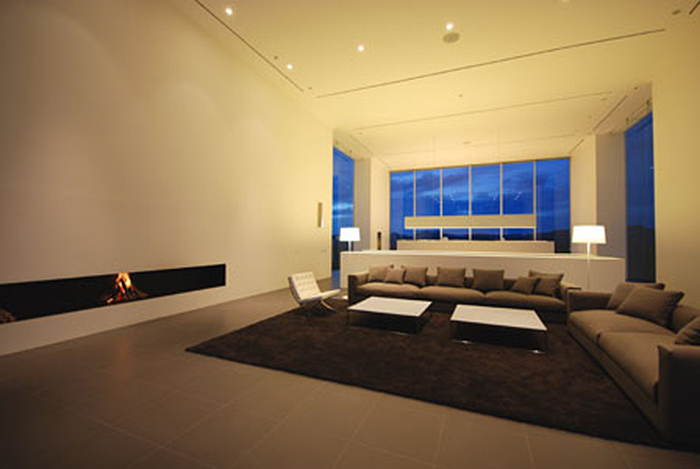 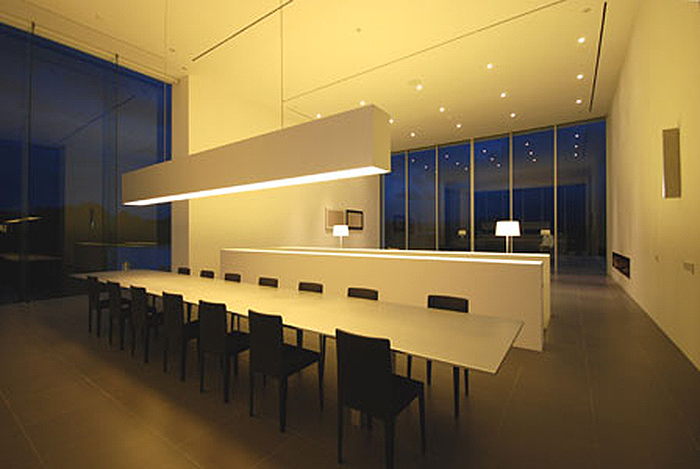 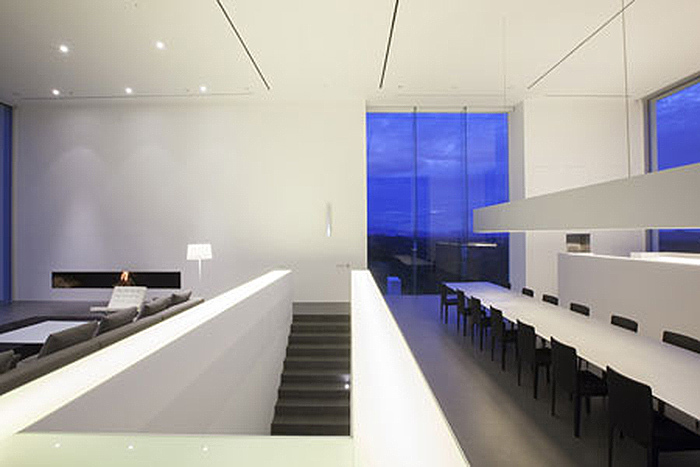 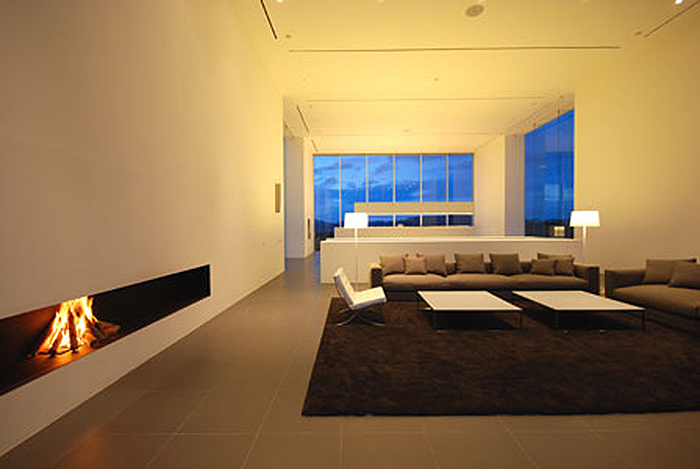 The white cube as formal living/dining room has 6M high ceiling. 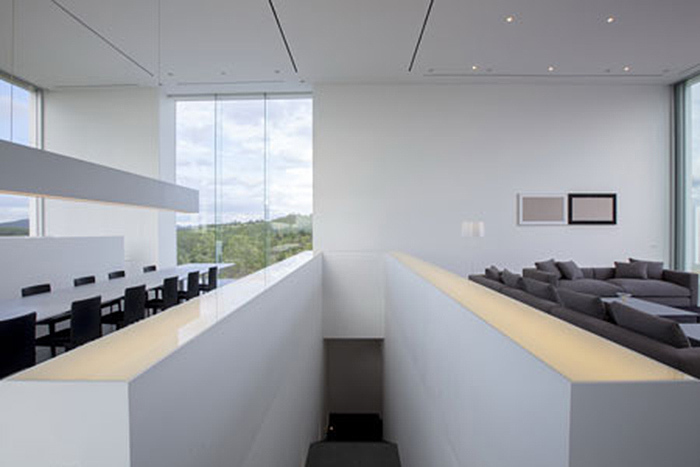 The stairs from the hall below divides the large room into southern living space and northern dining space. 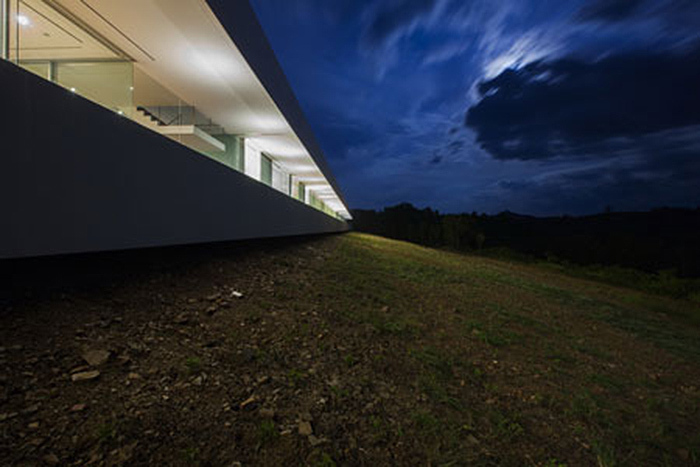 The 150m weekend house – the longest house in this century - was born by admiring the mountain scenery as a given condition and imagining a seascape as the contrastive view." 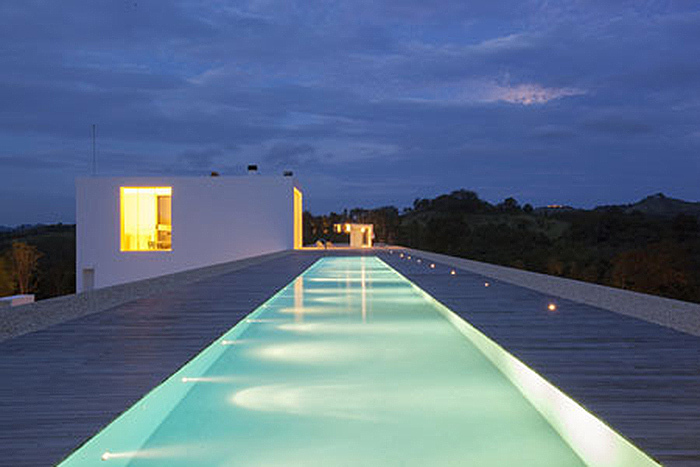 Above the private rooms, there is a roof top terrace covered with sand and the swimming pool of 40m long. 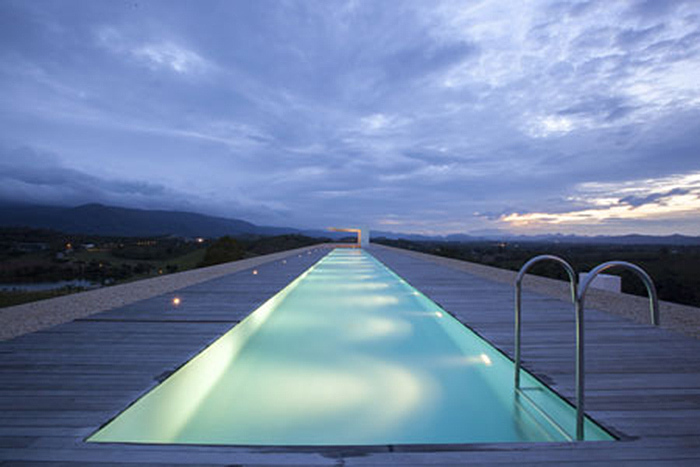 It’s like a floating sky beach surrounded by mountains.